One of our favorite (and easy) go to recipes is tacos (fish or chicken – we don’t trust the beef here and there is no ground turkey). Instead of using pre-made salsa, I’ve started making my own. I LOVE IT…of course, anyone who knows me knows that any dip with a chip is my best friend. *Just stir all the ingredients together in a bowl and refrigerate for at least an hour to let it marinate. 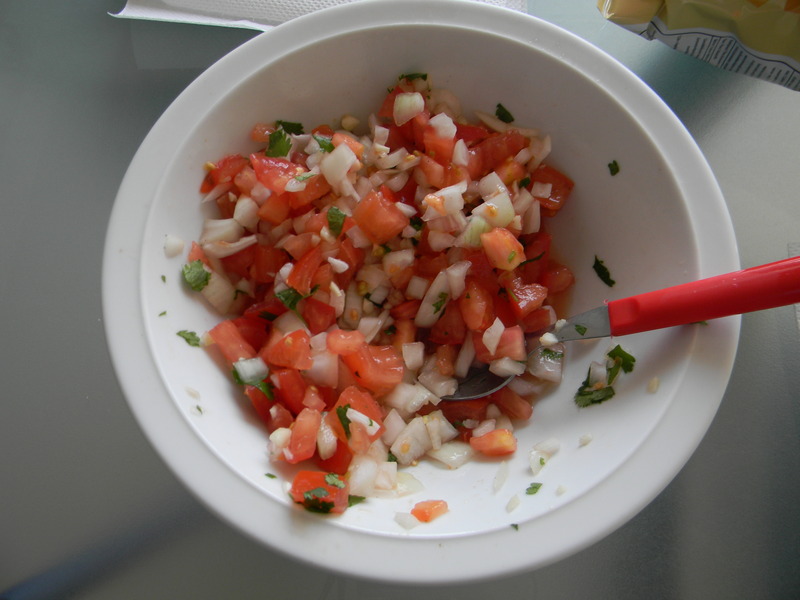 We find that the flavor is so good, that we don’t have to add much else to the tacos beside the meat and pico de gallo. Of course, we always have some shredded cheese on hand. Hi, my name is Sarah! My husband and I recently relocated to Ghent, Belgium with his company. My blog follows my expat experience as I take time to discover what I'm passionate about - travel, health, fitness, and food!